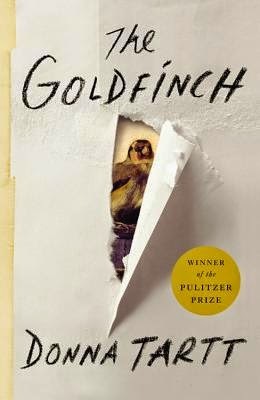 DONNA TARTT'S doorstopper novel entitled The Goldfinch—a doorstopper because it's thick and might take a lifetime to finish—is a happy addition to my pre-board exam reading. I'm also reading Rushdie's Fury on top of my review materials. As if I need more distractions. So far, so good, though. A terrorist bombing incident, museums, an intelligent bullied kid, New York, Amsterdam—it has all great ingredients of an engaging story. But do you know why I love The Goldfinch so much? The lead 13-year old character Theo Decker always refers to his mother as "my mother"—never "mom." Isn't that amazing? I find that it's one of the novel's strongest points—a minor one, yes, but a game-changer nevertheless. For some weird reason I cannot bring myself to refer to my mother as "mom," too. Is that the inherent Asian in me? Many thanks to my dear Ate Liw for giving me the book.